Suzuki Motorcycle India Pvt Ltd showcased the Burgman Street 125 automatic scooter at the Auto Expo 2018. It has recently emerged that the Burgman Street 125 will be launched on 19 July. 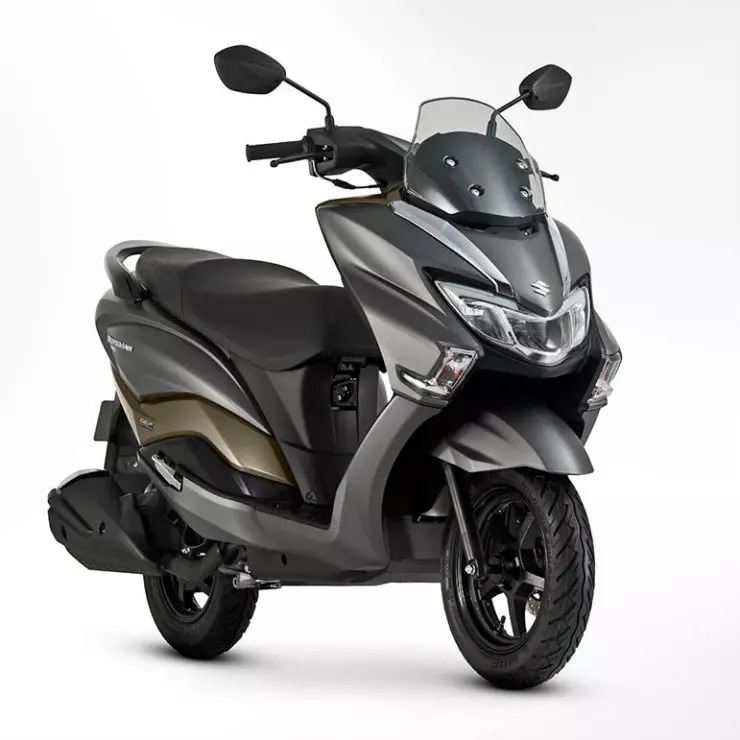 With its launch, the Burgman Street will become the second maxi-scooter to be launched in India after the very sporty Kinetic Blaze. Bookings for the Burgman Street have been opened at authorized Suzuki dealerships and can be made for Rs 5,000. It’ll take on the Honda Grazia 125. The Suzuki Burgman shares its underpinning with the Access 125. It’s powered by the same engine, too, making it a direct Grazia rival. However, the upcoming scooter is in line with the international Suzuki Burgman range and gets a similar maxi-scooter design. The Suzuki Burgman family of maxi-scooters comprises of 125-cc, 200-cc, 250-cc, 400-cc and 600-cc models. However, only the 125-cc version is India-bound at the moment. While the Burgman Street 125 will be yet another addition to the fast-growing 125cc automatic scooter segment, the new Suzuki scooter is expected to carve out a niche for itself because of its maxi-scooter design. In India, the Suzuki Burgman Street 125 is likely to cost Rs 68,000, which makes it pricier than the Honda Grazia. The fact that the Burgman Street 125 shares a lot of stuff with the Access 125 means that the upcoming model will be fairly reliable. The single-cylinder 124cc engine of the Access outputs a maximum power of 8.5 bhp at 6,500 rpm and a peak torque of 10.2 Nm at 5,000 rpm. The Burgman is slightly heavier than the Access 125 and hence, Suzuki Motorcycle India Pvt Ltd is very likely to tune the motor to output slightly higher power and torque. It will come mated to a CVT and will be fed through a carburettor. The features list of the upcoming scooter includes – LED headlamps and tail lamps, fully digital instrument panel, best-in-class under seat storage space, front telescopic forks, rear monoshock, front disc brake, 12V charging socket, tubeless tyres, multi-function key slot, and a Combi-Brake System.